I was excited to get this mug for Christmas. 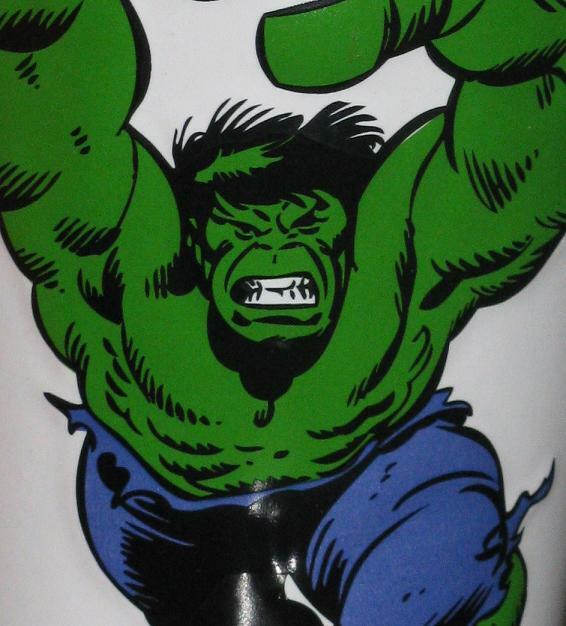 It’s image – which is a great Hulk image – is on a whole lot of newer Hulk stuff… I already posted a tumbler with the same Hulk on it. 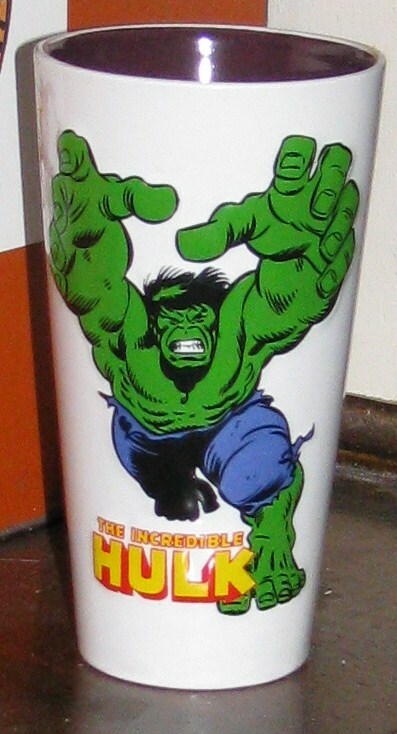 I am looking into getting a beautiful display cabinet for the Hulk room and if it does work out then maybe I’ll be able to set up all these glasses and mugs together. 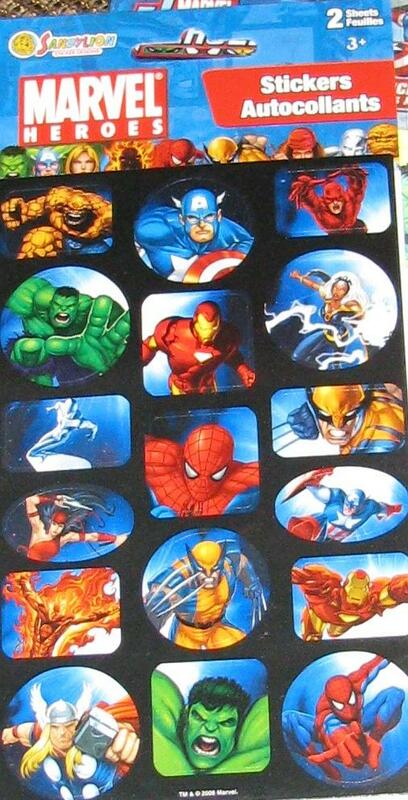 By the way – I also found a rockin’ new Marvel glass set – I will post that next – because now it is out of the bag…. 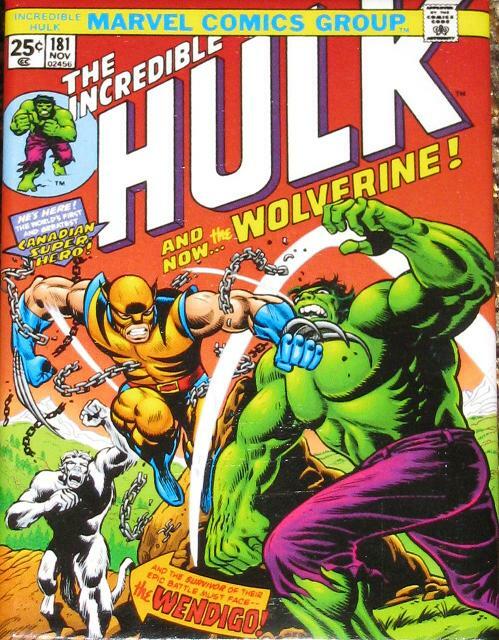 Gary Gets into Byrne’s Hulk Head! For the past few months I have picked up quite a few little knickknacks – pins, stickers, patches and magnets. Showing these things off by themselves never seemed very interesting – but now that I have quite the collection of these things gathered so… here we go! I love stickers. Who doesn’t love stickers? They STICK to things! If you put them into a girl’s hair – which I did many times as a kid – they stick! 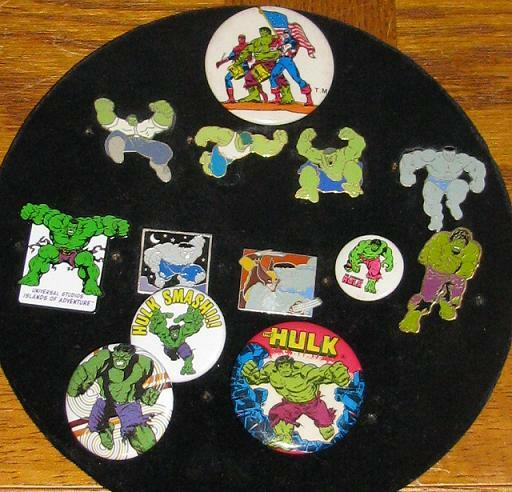 I think everyone had a sticker book at one time – and I have had plenty of different Hulk sticker – ones that glitter and ones that are puffy – but no scratch -n-sniff. 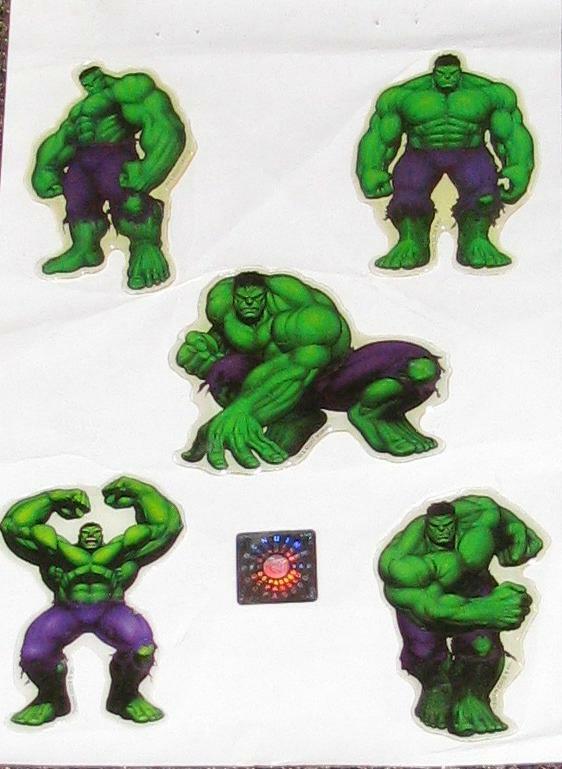 How great would a scratch-n-sniff Hulk sticker be? What would the best smell for this sticker be? 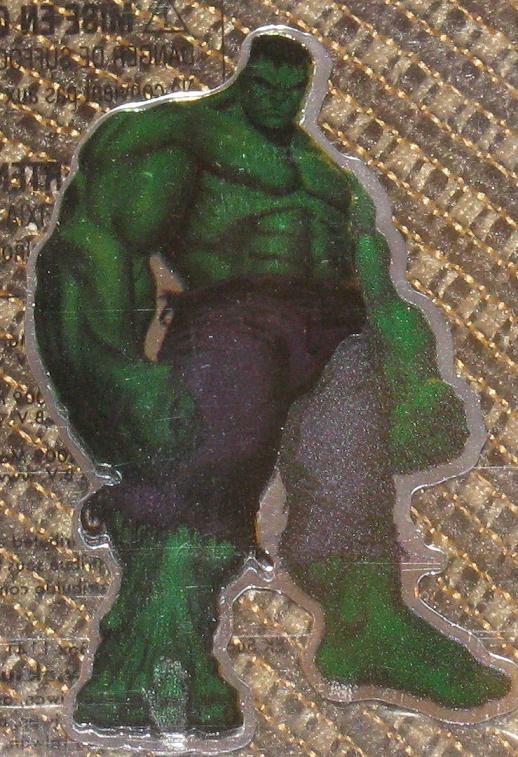 Remember the old “skunk” smelly stickers are? 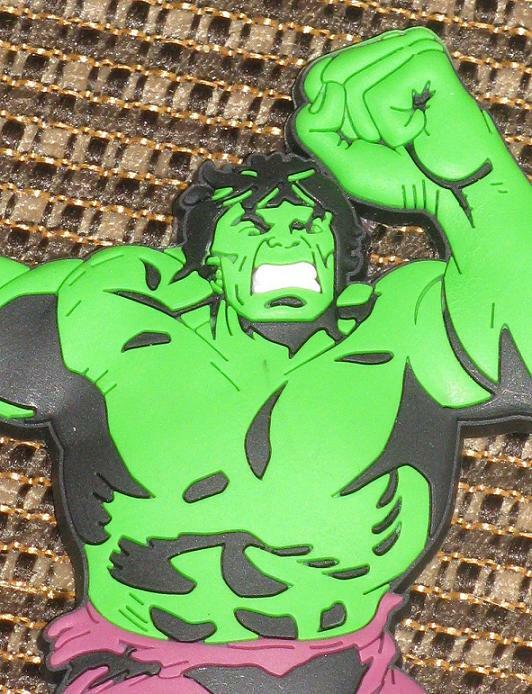 The Hulk scratch-n-sniff may have given that a run for his money! 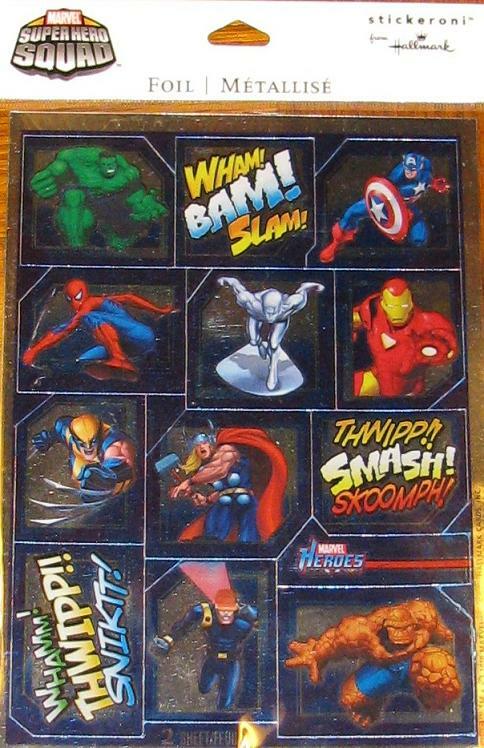 I found something called “dimensional” stickers. I believe it was 465 who mentioned that these things existed and I went out and picked them up the next day. I think that is one of the best things about what came out of this site – fans helping fans! 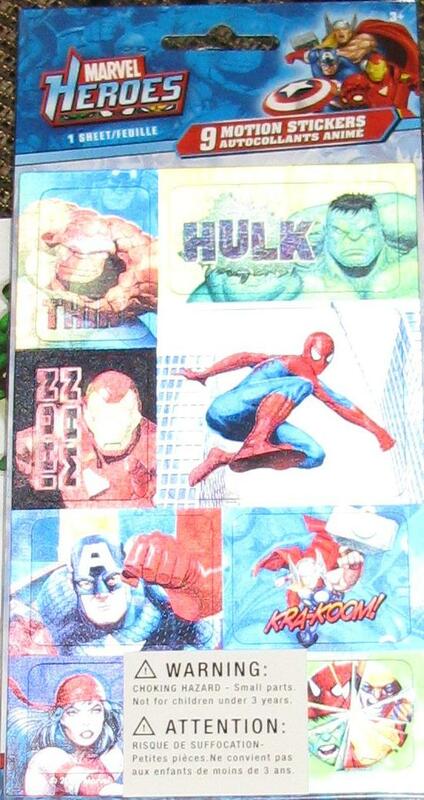 There’s a great poster named Toy Thinker who has many, many times given a heads up about Hulk product on the shelves. If I get a heads up I know there are other people who visit this site who also get a heads up – so anyone wanting to add their two cents – feel free to do so! 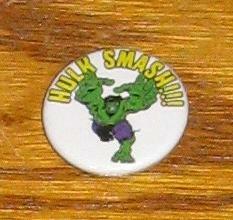 The pins that I have – some were bought – but the first two below were given to me by one of my best friends. 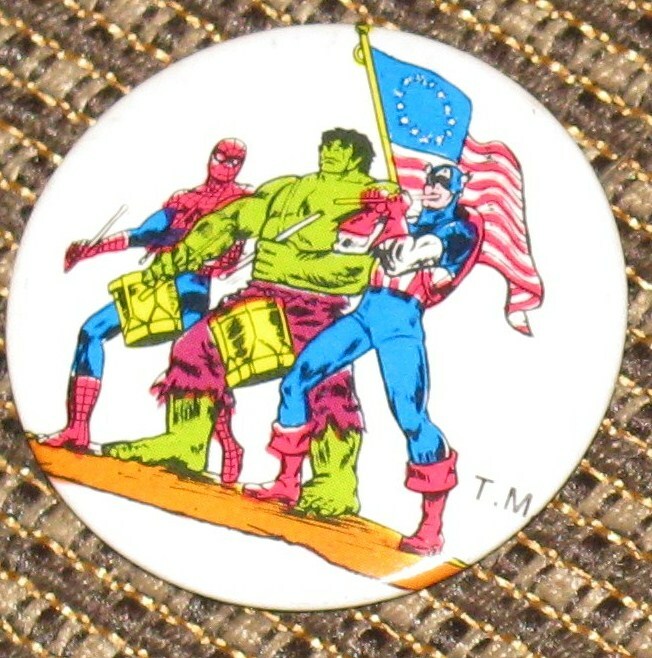 Both pins are from Hulky goodness in the past – the 1976 Marvel Calendar and the Marvel Treasury Edition #5. Each one is about the size of a half-dollar and have held up well over the years! They are dated 1975. I was also able to score a few pins from my LCS and I also wanted to include a shot of all the pins I have… I am not all that crazy for pins… it’s not like I seek them out – but I will pick one up if I see it. 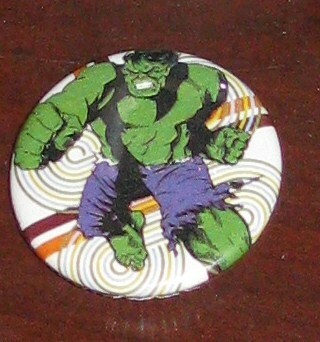 The magnets were purchased just recently at Double Midnight Comics in NH. 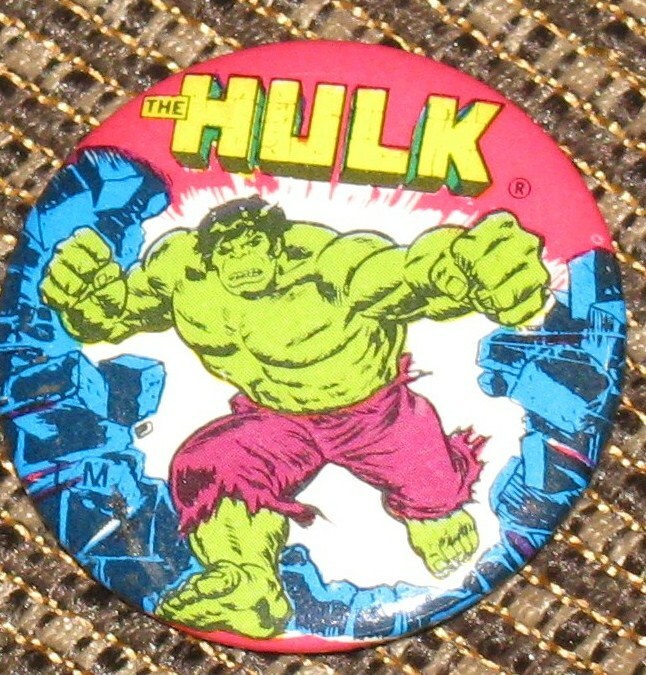 The store was a bit lacking in back issues and comic selection but had some great Hulk items. 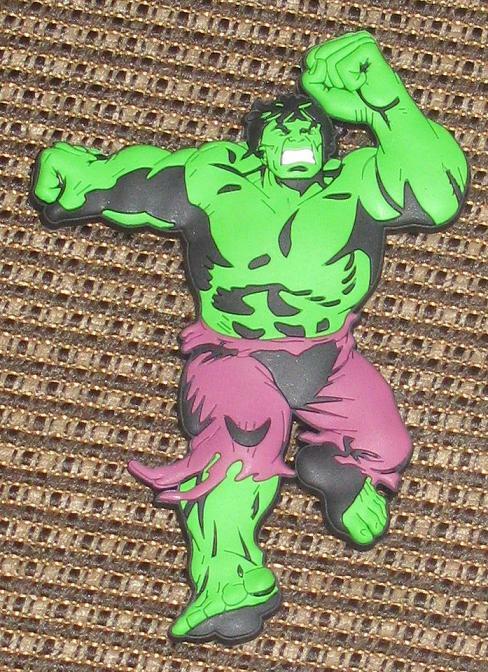 My favorite is the puffy magnet – the one from the cover of #206. I’ve seen that image used so many times over – but this has to be one of my favorite uses! Oh yeah! Who is the man? 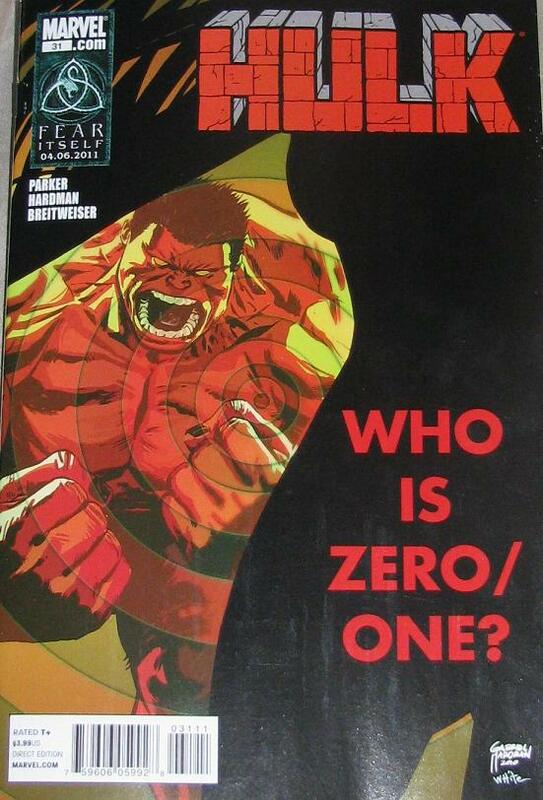 Hulk #31 - Who is Zero/One? 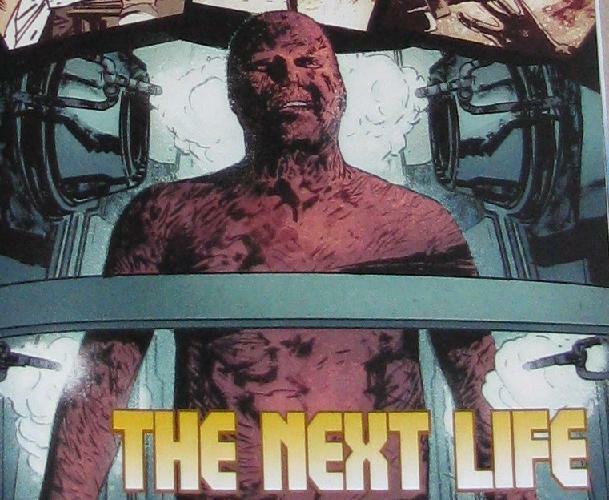 My guess: A new villain with a terrible name? Oh, hey look! Spawn has a guest shot in Hulk! Jacob was a tech at the Omnisapient Corp when the Iron Man and Red were called in to take care of the creatures overrunning the place. 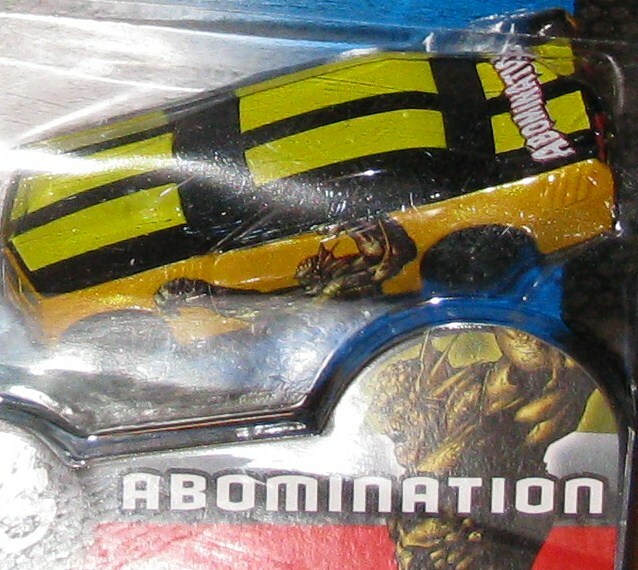 He was stuck in there when it exploded and is burned… well, everywhere. Unfortunately Jacob doesn’t have anyone willing to help him – no family willing to pay to finish his skin grafts – and so he is on his own. Red winds up at a barbeque and is joined by Annie – an LMD from Red’s Gamma Base. Annie puts the situation on the table – and then they discuss bathroom and sleep issues. Before you know it Fortean is back and sends a “care package” to Red – who jumps to detonate it so Annie is not harmed. Meanwhile, Jacob is visited by his former co-worker – Dr, Kurinji – who was trying to connect herself to the machine before Red severed any connection. Now though – she is no longer human but not machine – she is Zero/One. Matrix anyone? Red faces off against the Rock Monster! 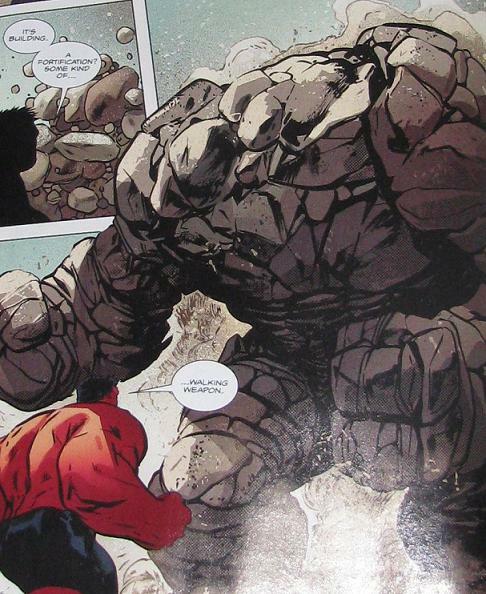 Back with Red, the real package that Fortean dropped off was a nifty little piece of tech that accumulates rock to a walking weapon. Kind of like that Rock Monster thing from Galaxy Quest. Zero/One lays her plans down to Jacob. 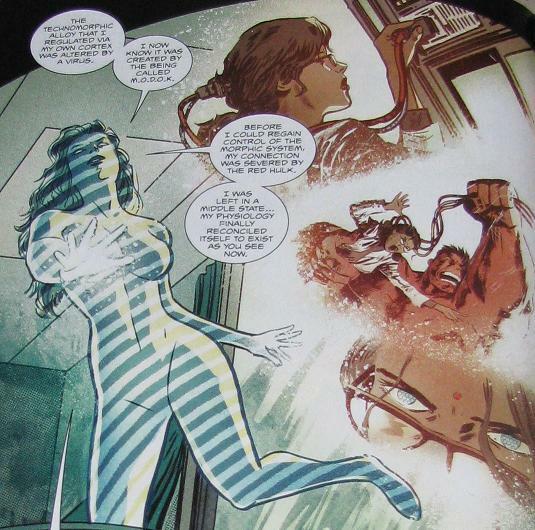 She wants the Red Hulk out of the way so that they may create a new world. And back with Red, he has finished off the last of the Rock Monsters and a Fortean hologram comes to apologize to Annie for dropping the weapon while she was around. Meanwhile, back in space where the Watcher is, the Omegex is still on it’s way to Earth. Can't wait for Watcher's revenge! 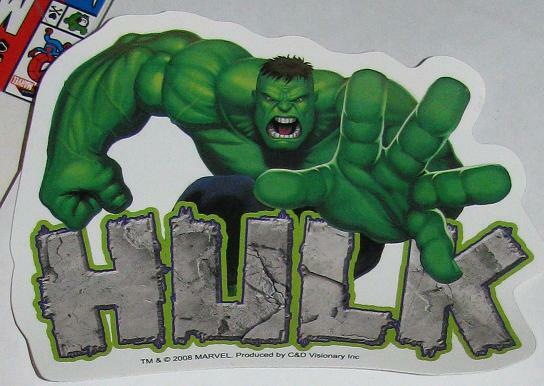 Coming Soon… Planet Red Hulk! I mean, Planet Red Hulk? Wow – really? This reeks of desperation… I mean, comeon! Planet Red Hulk? Anyways, click on the image above for more info. Here is something I should have posted when I got it – but knowing me, I forgot. 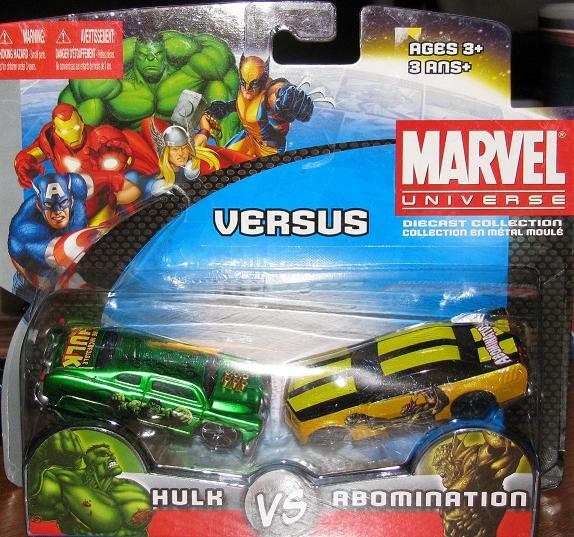 I have so many things to post… and I will get to it – but the great thing about this 2-pack is that it was sent to me. Someone sent me this a while back and I meant to post it and thank them – even though I have no idea who the sender was. I have suspicions that it was Grey (am I right?) and in that case THANK YOU SO MUCH! I have not seen this around my area so I never even knew it existed. 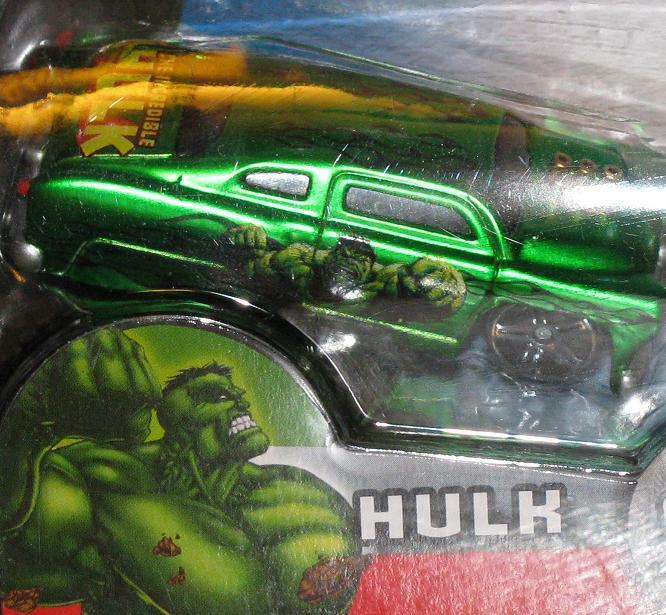 I have a few cars to show off – slightly different – but they came in a huge 10 pack of cars and I have the Hulk and Abomination van loose. I will post them sometime in the future… but again – whoever sent this – and I am pretty sure it was Grey – thank you! 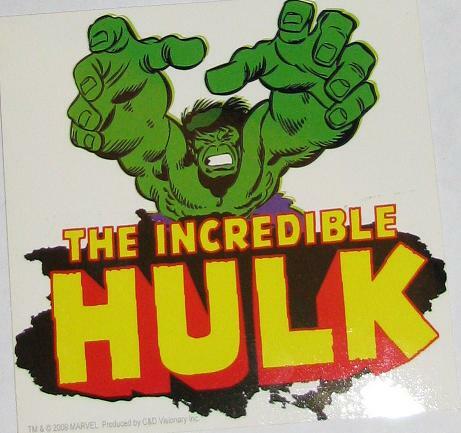 I have no doubt you’ve heard already – Pak is leaving after The Incredible Hulks #635: Heart of the Monster. Granted – I am not enjoying this latest arc – but Pak is one of the better Hulk writers to take the reins in a long time. 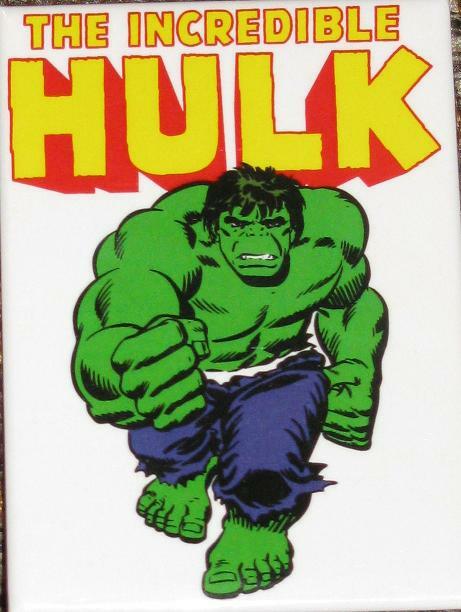 I would have loved to see him unconstrained to write the Hulk – but it always seems he is writing under some sort of condition… PH, although great, was the Hulk on another planet, and his return to the book was even worse – he didn’t even have a Hulk to write about! But he did amazing with what he had – and it will be sad to see him go. Bi-weekly, we will still be seeing Pak books for another half a year or so… so enjoy it now! Click on the image for more info! But notice who is coming back? Armageddon! 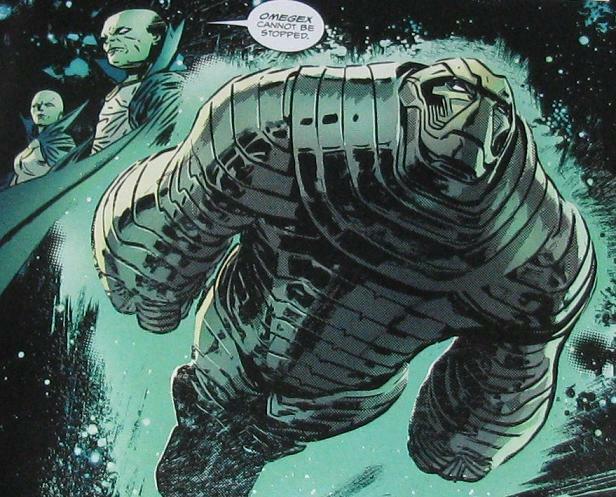 That’s right – I just posted a review of the last Armageddon appearance a few weeks past – this has happened TWICE now – the first time I reviewed the Eternals issues where the robot Hulk first appeared – way before they brought him back! It’s like I am a secret genius! So secret that I don’t even realize!